Begonia Whopper Green Leaf Red - Brad's Bedding Plants, Inc.
Whoppers produce extra-large flowers up to 3” in diameter. Your customers will love the super-sized plant and excellent heat tolerance. 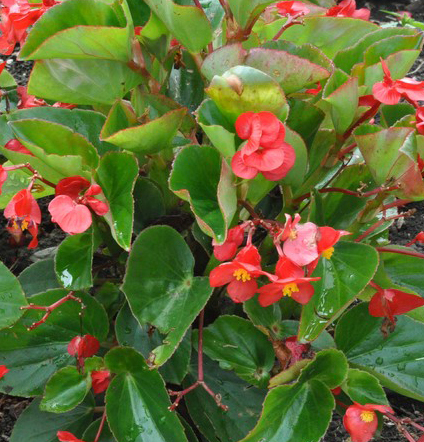 Whopper Begonias are vigorous and can grow up 34” tall and 22” wide.